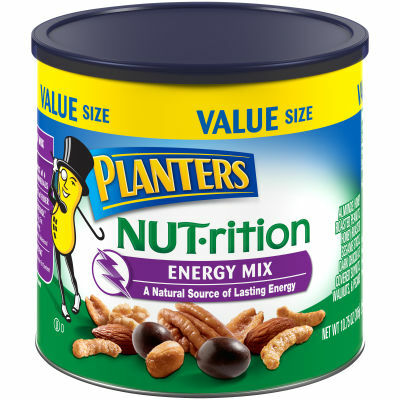 Planters NUT-rition Energy Mix is the perfect snack to provide energy on-the-go. We blended bananas and other nuts and fruit to provide yummy energy AND a good source of three essential nutrients!!! We don’t mean to shout, we’re just excited about all the energy! And all that with no artificial flavors, colors or preservatives. Serving size 1/4 cup (35g).